VANCOUVER, BC – 8 October 2014 – Ostara Nutrient Recovery Technologies Inc., has been recognized for the 6th straight year as a leader in the clean tech industry for the commercialization of proprietary nutrient recovery technology that recovers nutrients from used water streams to convert them into high value eco-friendly fertilizer. Named in the prestigious 2014 Global Cleantech 100, produced by Cleantech Group, whose mission is to connect corporates to sustainable innovation through the i3 market intelligence platform, expert consulting services, and global events, expert Global Cleantech panelists praised Ostara Nutrient Recovery Technologies for, “cleverly combining wastewater treatment with the production of a revenue-generating green fertilizer”. Ostara’s nutrient recovery process is part of the solution to both wastewater and nutrient runoff challenges – removing nutrients from where they shouldn’t be – in waterways – and recovering them to create a new standard of phosphorus fertilizer. Ostara’s innovative cradle-to-cradle solution has the potential to impact global markets at a time when food security, fertilizer runoff and environmental stewardship are issues for communities everywhere. For complete information on Ostara’s leadership within the cleantech space, access i3 by visiting i3connect.com—Cleantech Group’s leading market intelligence platform—and search for Ostara Nutrient Recovery Technologies. The list is accompanied by a full report with commentary and insight on the 2014 Global Cleantech 100—authored by Cleantech Group, powered by data from i3, and sponsored by Chubb. 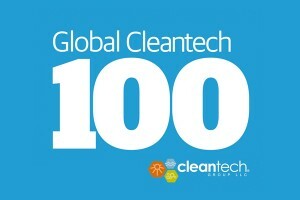 Download the report at: http://www.cleantech.com/indexes/global-cleantech-100/2014-global-cleantech-100/. Founded in 2002, Cleantech Group’s mission is to accelerate sustainable innovation. Core to this mission is i3, an online platform that connects corporates with innovation, at scale, by allowing them to find, vet, and connect with start-ups — efficiently building an innovation pipeline. In conjunction with i3, we offer premium Advisory Services for corporates in need of expertise designing and executing strategies for sustainable innovation, and managing the pipeline created in i3. The i3 platform comes to life at our global Events, which convene corporates and start-ups, along with other players shaping the future of sustainable innovation.